Utilitarian or cosmetic and hard wearing, we all have to walk, stand or park somewhere. Although we specialise in astroturfing and artifical lawns. We are expert in the laying of paving stones, cobbles and concrete. The team at Peak Fencing have being doing this a long time and have developed practices that minimise the disruption to your home or business. contact us now for a free quotation for your surfacing needs. 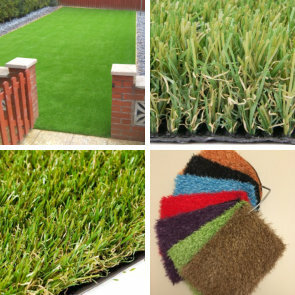 Often refered to as Astroturf, artificial grass provides a low maintenance, all weather surface suitable for all types of gardens, recreational areas, outdooor gaming surfaces and childrens play areas. Available in a wide range of depths: 12mm to 35mm, colours, densities and textures. 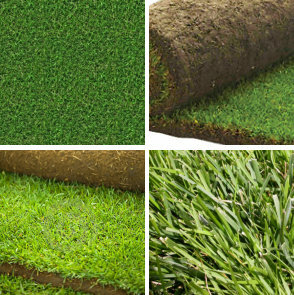 We have an artifical grass surface suitable for you that's indistinguishable from the real thing at a short distance. Lead free, Non-toxic and safe. UV stabilised and fire tested. Artificial grass eliminates mud and bald patches and does not discolour should your pet decide to water the lawn. With a large range of colours, textures and stone type, stone paving can provide that regal look to any heavy use outdoor area. Suitable for patios, pathways, driveways and courtyards we can provide stone paving that seamlessly blends with the appearance and stature of your home. Hard wearing and long lasting and beautiful. 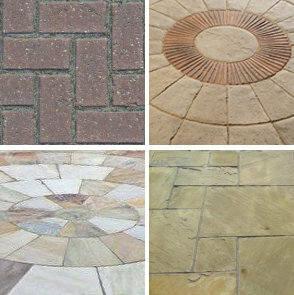 Sandstone, Yorkstone, Granite, Natural stone, paving slabs and cobbles, patio cirlces and edgings all professionally fitted with the minimum of fuss, mess and disruption. Economic, hard wearing and longlasting, concrete provides a very low maintenance, durable surface. A surface suitable for driveways, pathways, garage and shed bases. 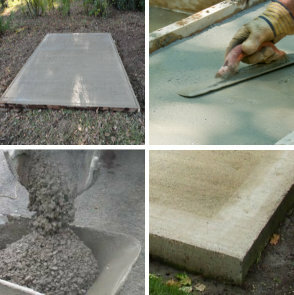 We specialise in laying concrete garage and shed bases. Red Fescue:strong and slender vareties, Chewings Fescue, Ryegrass and Smooth Stalk Meadow Grass make up our turfs. With our higher quality turfs we provide a weed free installation guarantee.